Stefan is a guest in this amazing line up! Its also his Birthday so come out! 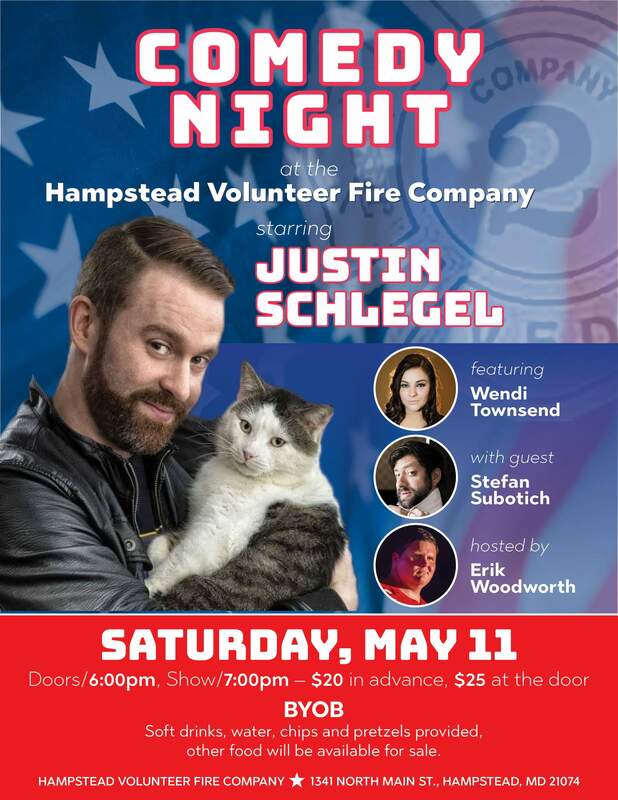 Justin Schlegel is headlining a Wendi Townsend production at the Hampstead Volunteer Fire Company! Wendi is featuring, our good friend Erik Woodworth is hosting and Stefan is a guest spot ON HIS BIRTHDAY so come out and wish him one in person! Soft drinks, water, chips and pretzels provided! Other food will be available for purchase.